Mixed Berry Pods from 88Vape have the juicy essence of all of the best forest fruits. 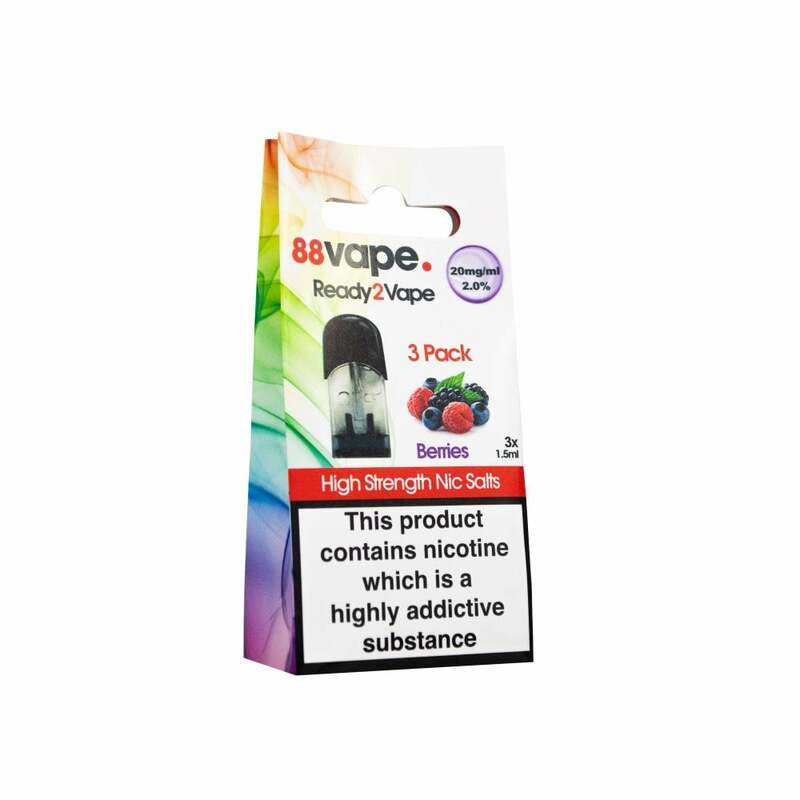 Sweet meets sour in this refined flavour blend which is made up of layer after layer of fruity bliss. These pods come in a pack of three, with each pod holding 1.5ml of e-liquid. They are designed for use with the 88Vape Pod kit. Ready to use from the pack, simply insert a pod into the pod slot and you're ready to start vaping right away! Very nice vape flavour - reminds me of wild blackberries I used to gather from the hedgerow.